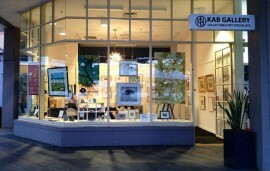 KAB Gallery is open 7 days a week from 10am until 5pm (10am until 3pm Sundays), Australian Eastern Standard Time. Visit our Art Gallery at the Crowne Plaza Terrigal to view our exhibition of collectable arts, art-inspired gifts and jewellery, discuss your art requirements, or show us any items for art valuation. Alternatively, please complete the below to contact us with any questions you may have. I would like to receive regular KAB Gallery emails about VIP nights, important acquisitions, artist demonstrations, and other events. KAB Gallery is located on the beachfront concourse at the Crowne Plaza Terrigal – just 90 minutes from the heart of Sydney, Australia. Street parking is available on Terrigal Esplanade and surrounding streets, with free all-day car parking also available in the multi-story car park located behind the hotel.